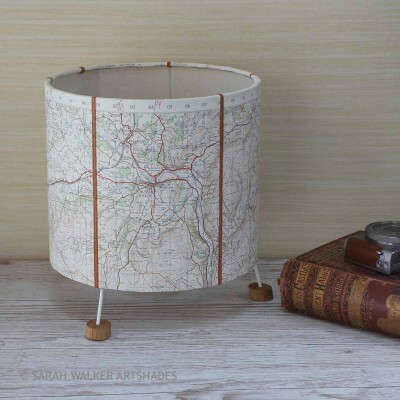 These shades are handcrafted in Worcestershire from original vintage Ordnance Survey maps and are in stock now. 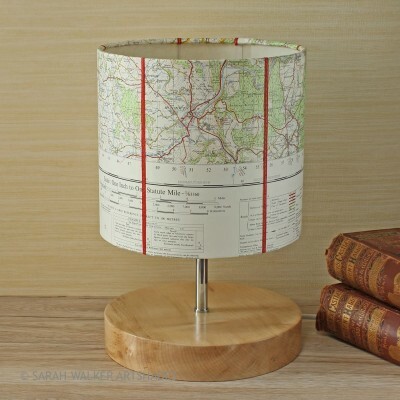 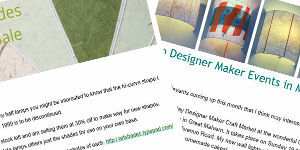 If you would like a similar table lamp using a map of your own choice they can be made-to-order for a £10 supplement. 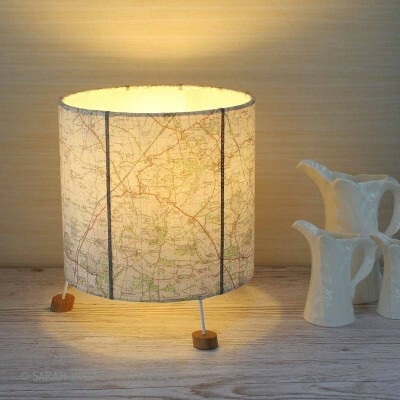 Alternatively, you can order a personalised map shade with no base.